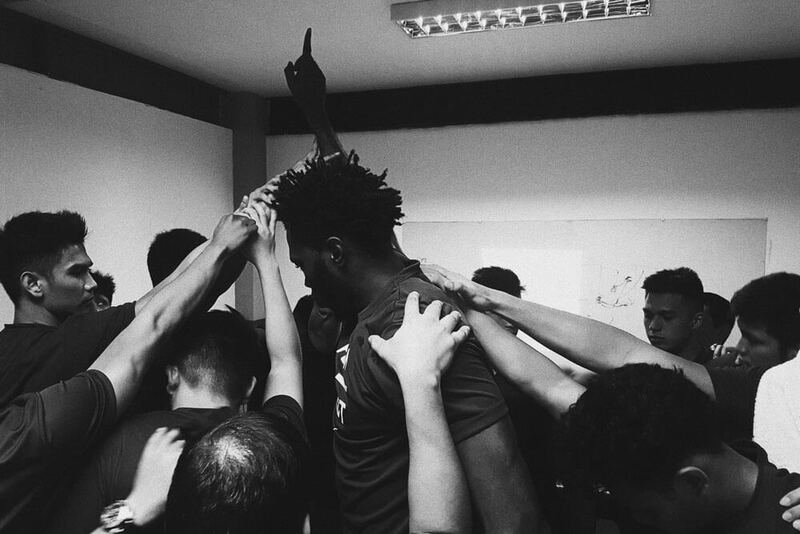 The LPU Pirates made waves last year when word broke of their pregame meditation using mindfulness and sports psychology techniques. This year, the Perpetual Altas have their own unique ritual—and it might be the most extra, baller thing I’ve seen in the league. Before the Altas’ home game in Las Pinas last week, head coach Frankie Lim invited me into the dugout to observe their team meeting. It started off pretty standard—reminders, strategy, scouting notes. Lim’s speech was rousing, although everyone already expects that from the coach with a reputation for coaxing players to the championship level. Then something else happened. One of the assistant coaches began playing a video that compiled clips of Lakers highlights and motivational speeches. All the hype was there—Kobe monologuing about “the next level,” footage of game winners, Shaq giving an interview about pushing your teammates to compete with each other, and quote from motivational speaker Eric Thomas like “Be phenomenal or be forgotten.” But that wasn’t even the kicker. The hip-hop music continued with the quotes, except it cut to footage of the Altas themselves. Cue three whole minutes of their own highlight plays set to powerful beats. Blocks. Treys. Shots of their university’s students going wild. By the end of it, you could almost hear the team’s anticipation crackling in the air. According to Lim, this is something they do every game day—and that his daughter, sports analyst and former PBA courtside reporter Miakka Lim, is the one who edits the Altas’ personalized hype videos. It’s no secret that Lim’s family goes all-out to support whatever team he’s coaching. You can see his wife and kids at courtside, cheering their lungs out, just as they did during his multi-titled tenure at San Beda. These hype videos take it to a whole new level of extra, but it sounds like just the thing for the team that’s looking to make a comeback from a self-confessed “dismal” previous season and make the Final Four.